We provide several mortgage calculators to help you evaluate the components that factor into buying a home and getting a mortgage. Artisan Mortgage has supplied the mortgage calculators below to answer your most pressing loan questions. In addition, you can critique your retirement planning, find out if you're saving enough each month, and learn some helpful personal budgeting tips. While these mortgage calculators in no way replace the guidance a financial professional can offer, they provide excellent starting points to see if you can afford your dream car, house or retirement. What do they mean and should you be paying them? We’ve got logical answers, useful mortgage calculators and a lot of good advice. 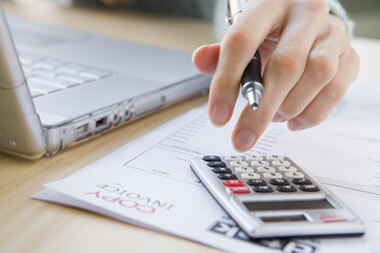 Determine an approximate monthly loan payment. Determine how much house you can afford and/or qualify for. Calculate interest only payments using this calculator. Compare the costs of renting to the costs of buying a home. Decide whether or not you should refinance your current mortgage at a lower interest rate. Understand how much money you can accumulate by making monthly contributions to your 401k account. Enter the amount you plan to add to your account each month, and the expected interest rate. Disclaimer: These mortgage calculators are only estimates and should not be used to determine actual loan costs. We encourage you to seek personalized advice from qualified Artisan Mortgage professionals regarding all personal home loanissues.